Okay, we are back with another Thrifty Thursday! 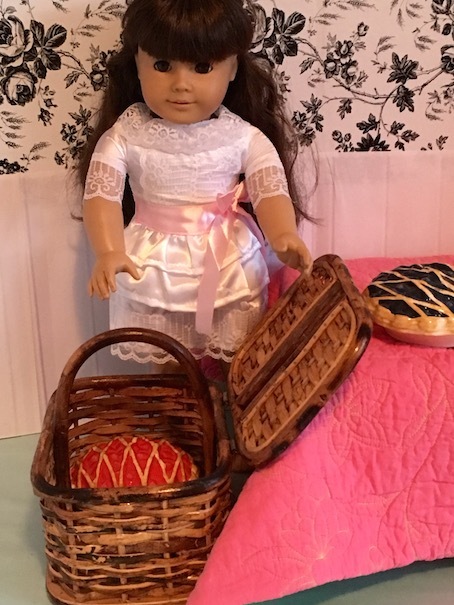 We’ve been caught up in doll camp stuff as well as kid’s cooking camp, so we haven’t had an ounce of time for thrifting, but I was out shopping this week, and I found some pretty cute items that I thought that I would share! Luckily we found this cute little satin dress on eBay for a dollar. 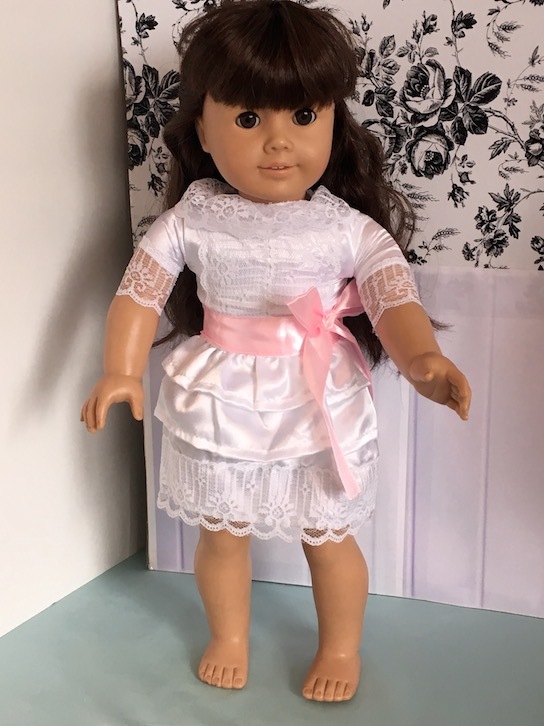 🙂 I find that the sleeves of this dress are a bit too tight for the AG dolls, but it is still cute anyway! 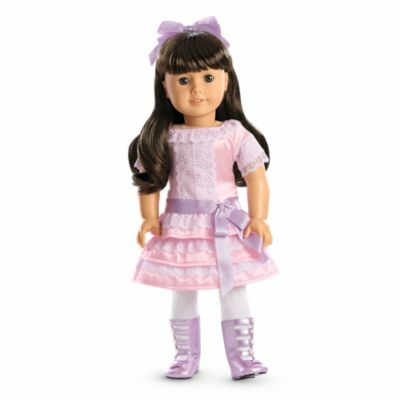 I think that it’s very reminiscent of Samantha’s pink satin dress with the purple ribbon. Now on to our list! 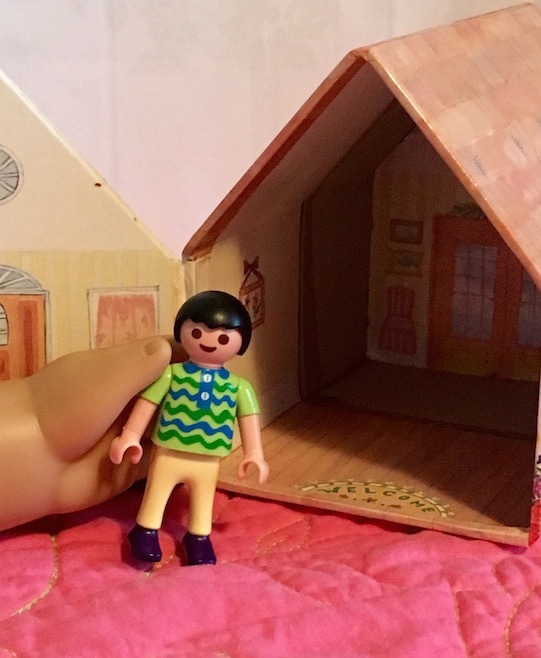 On Thrifty Thursday, we like to feature our top 5 doll sized finds of the week! So let’s begin! 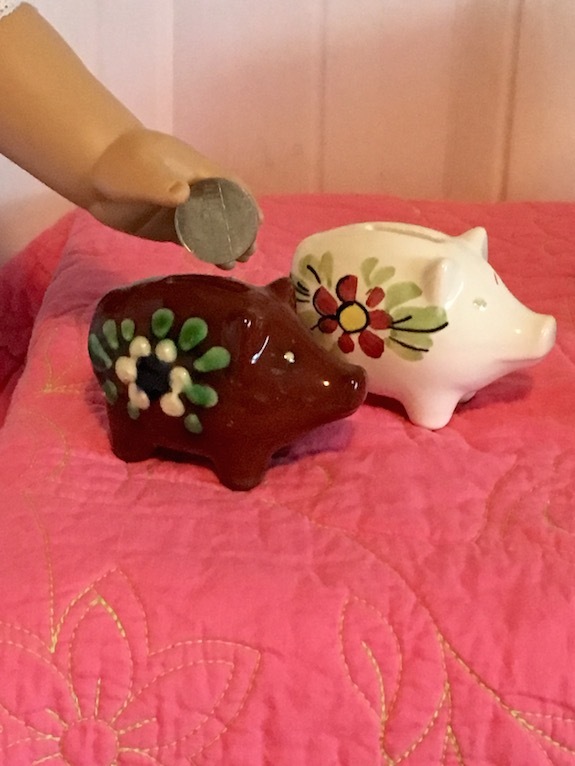 These little piggies are made out of ceramic and have a pretty little flower painted on both sides. 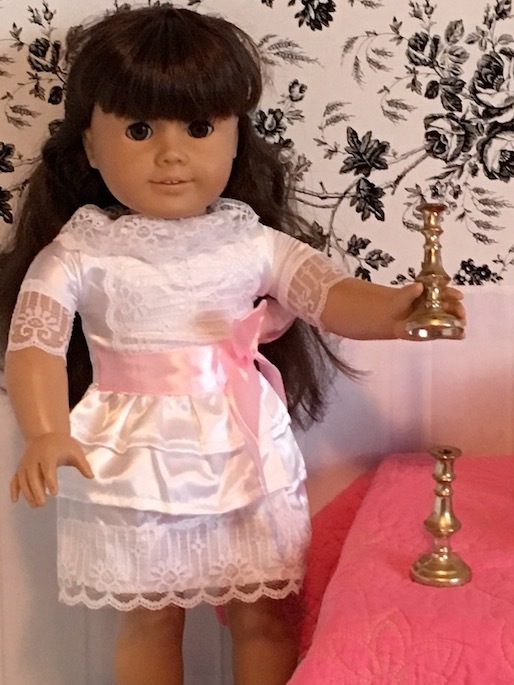 Perfect for doll rooms! 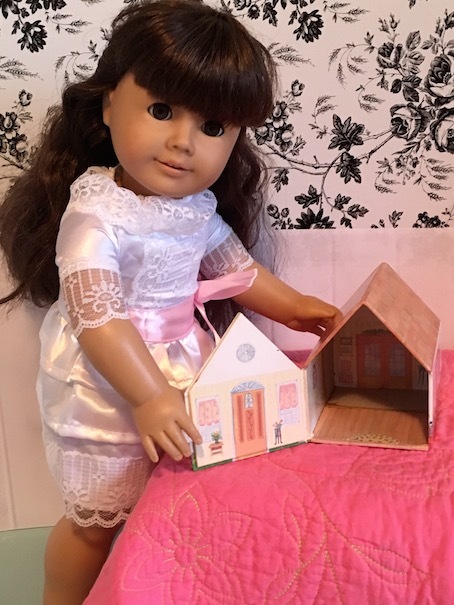 A dollhouse for dolls? 🙂 Of course! 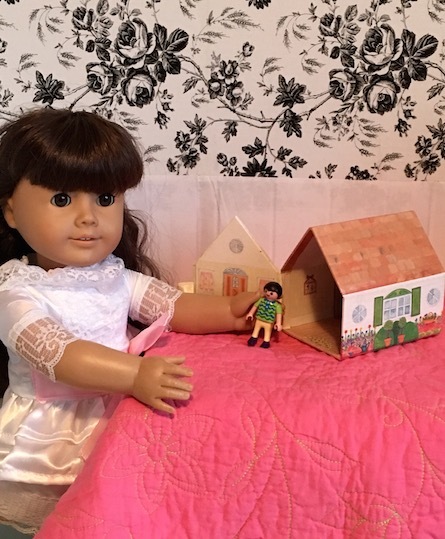 This little house used to hold recipe cards, but it is perfect for the dolls to play with! The front opens up, and there is a little house inside! 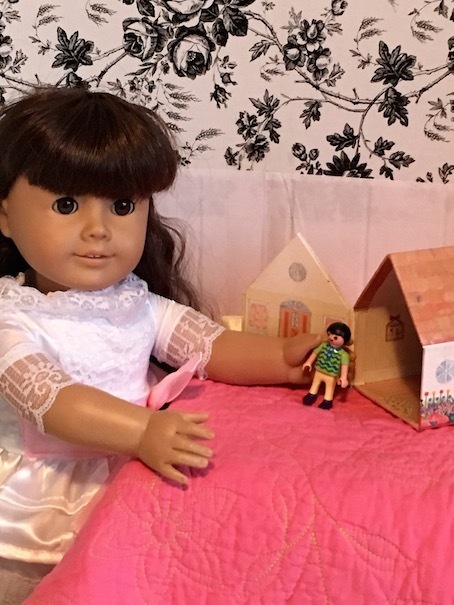 Now your dolls can play dolls to their hearts content! I know what you’re thinking, isn’t this for Christmas? 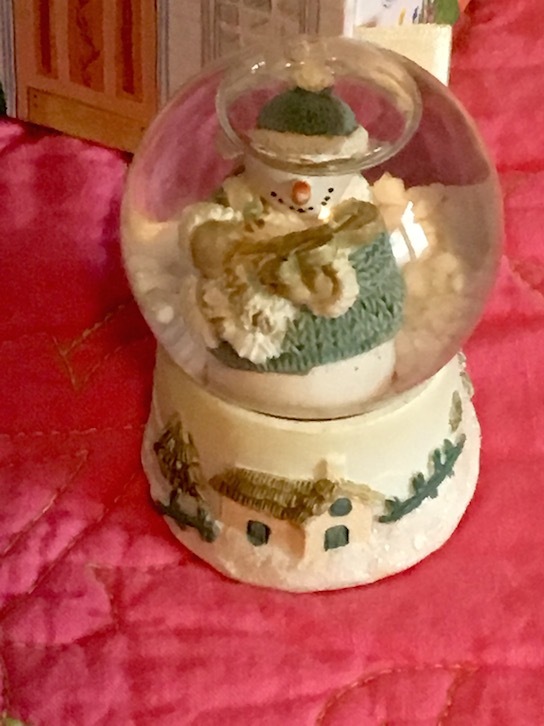 It is a snowman after all, but my daughter has a winter snow globe, and she loves it all year round! We found these at separate times during the week, but I thought that they go together well. The top opens on a hinge, and there is a slot for the handle to fit through to close it. 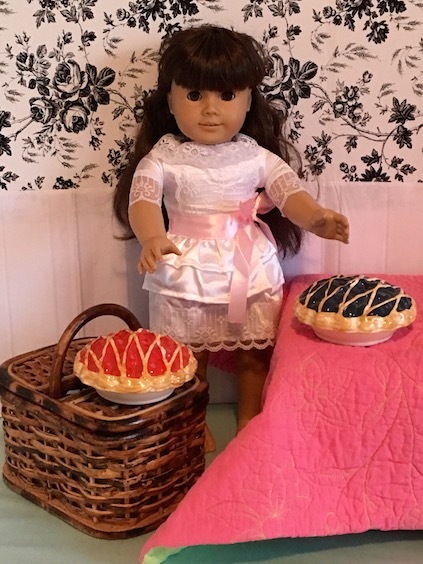 These pies are actually the lids to little ceramic pie plate containers for JellyBelly jellybeans! lol! 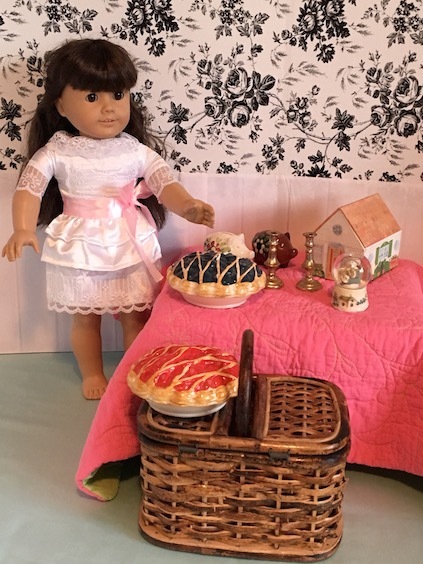 They work perfectly as doll pie! 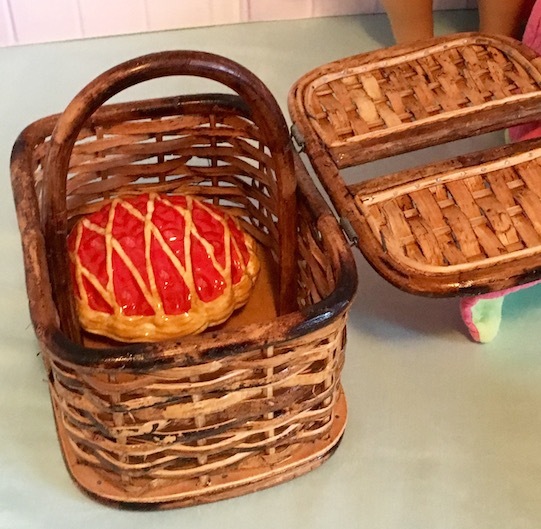 They actually come with pie plates on the bottom, but we removed them. These are just the container lids, but we like them better without the bottoms. 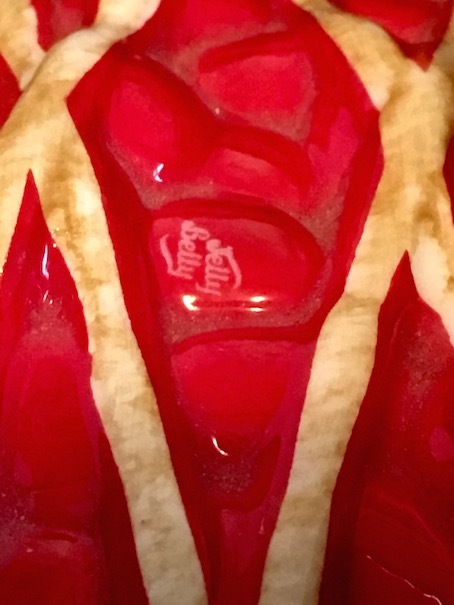 Here you can see the JellyBelly logo inside the pie! It’s jellybean pie! How cute is that?? lol! Lastly, we found these adorable brass candlesticks! Here is a cute bonus pic of our new to us Samantha! 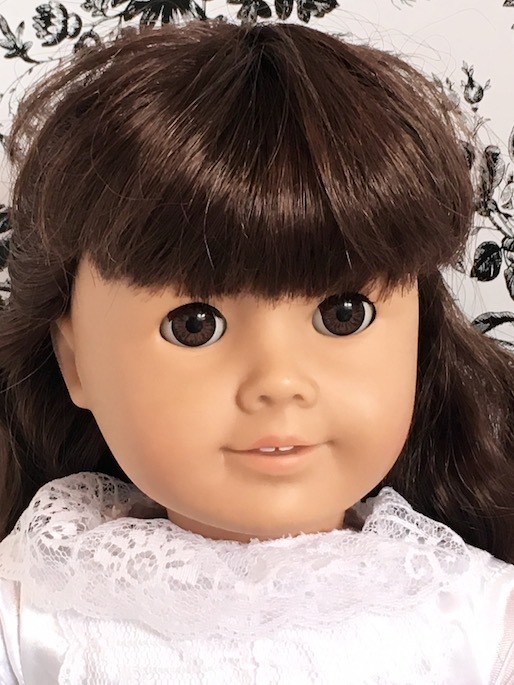 I think, out of all of the dolls, she looks the most like me. 🙂 My sister saw her, and was like, holy moly, Ginnie! It’s you! LOL! 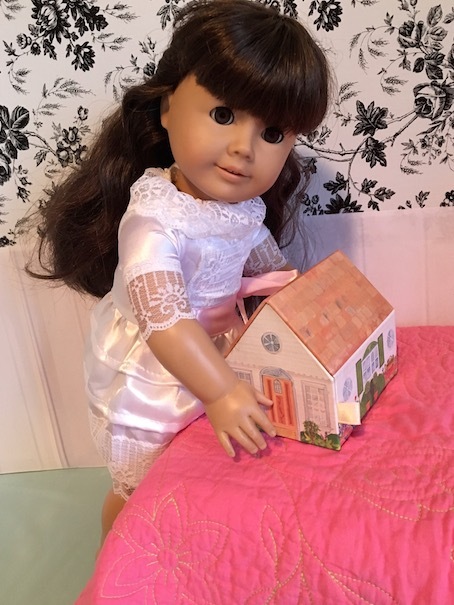 Have you found any fun thrifty items for your dolls this week? 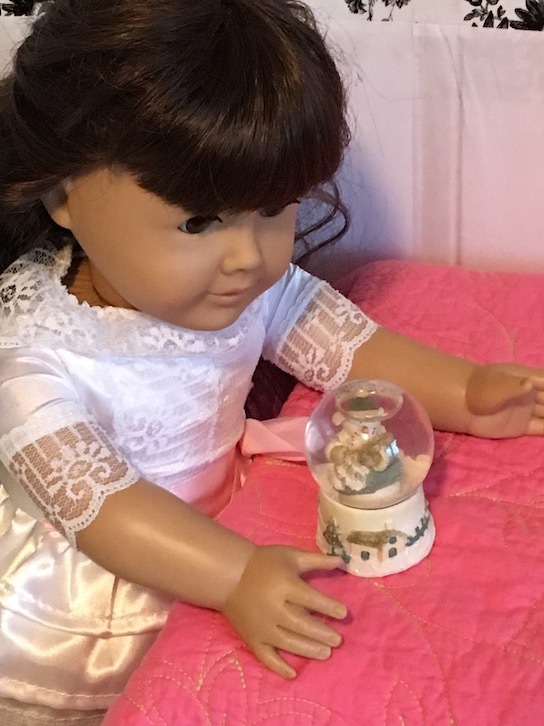 You should introduce your dolls again, you have added so much too your collection since the last time! Please craft candles! 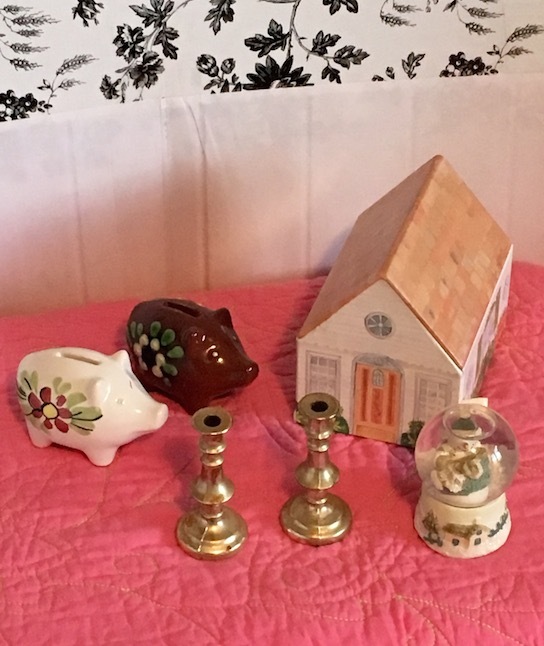 Awesome finds, I think it’s a toss up between the candlesticks or the dollhouse as to which is my favorite. They are all terrific though! Great finds! Thank you for sharing them with us. 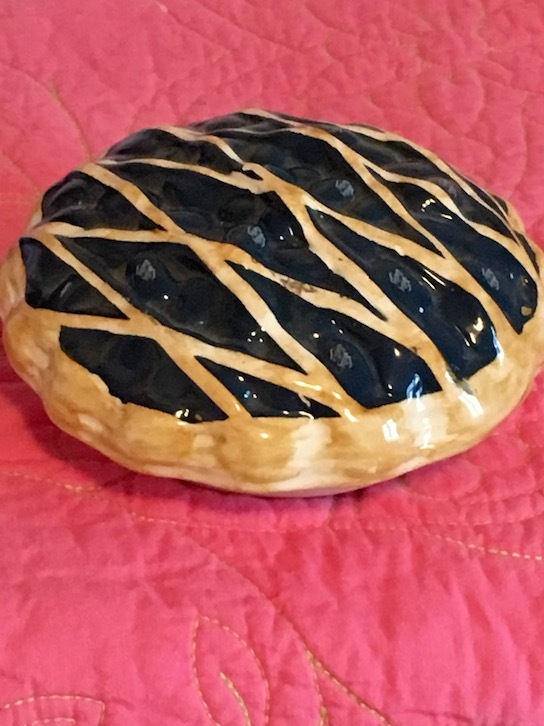 Thank You for sharing your finds. I love it. 🙂 I am glad that you enjoyed! This post is wonderful. Congratulations on purchasing Samantha. 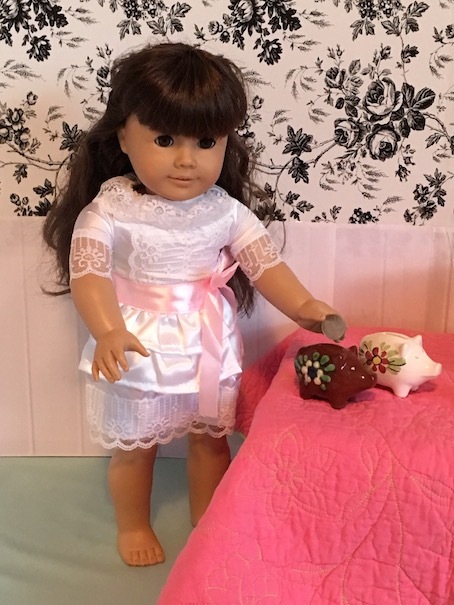 She was my first AG doll and is my favorite.